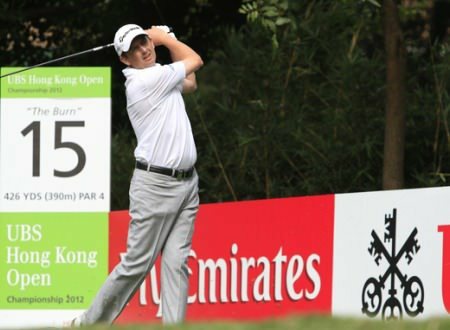 Spain's Jose Manuel Lara grabbed his maiden European Tour win with a wire-to- wire victory at the UBS Hong Kong Open. Four times a runner up, the man from Valencia edged out Filipino Juvic Pagunsan by a shot thanks to a closing 69. Lara finished on 15 under par with Peter Lawrie the best of the Irish on four under. Lawrie earned €15,006 for a share of 25th place after a level par 70 with Damien McGrane a shot further back in 34th place after a 71. Lara led after every round but saw Pagunsan moved one clear with four to play. But a two shot swing in Lara's favour at the 16th proved to be crucial. Lara said: "This is my time. It is a great victory. I lost my lead today but took my chance over the last few holes. "You wouldn’t believe the number of people who ask me when will I win. Now I can say I have." Graeme McDowell finished tied 24th behind Justin Rose in the UBS Hong Kong Open but it was disappointing European Tour campaign for the Irish as the regular season ended in Asia.